These seats are made from tube steel with steel casters to allow them to roll easily. 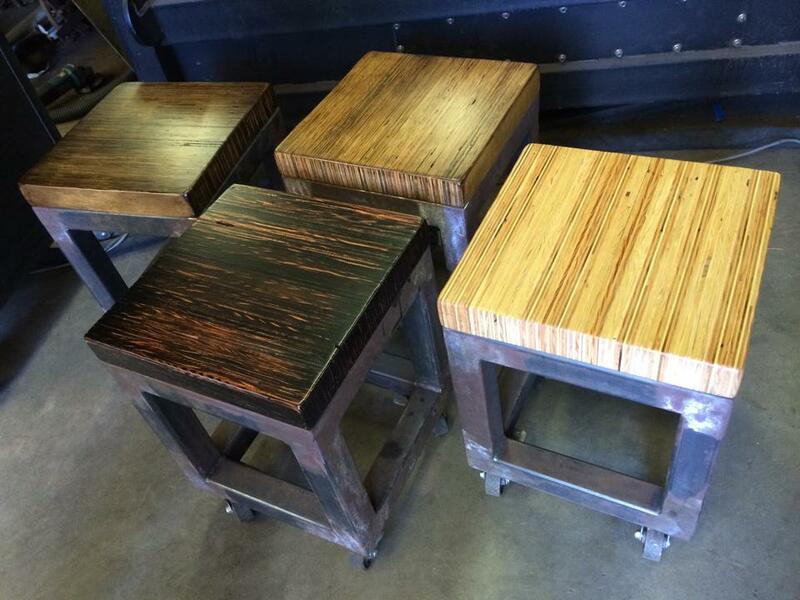 The tops are made from reclaimed plywood set on the side grain and laminated together. Finished in different lacquer colors.